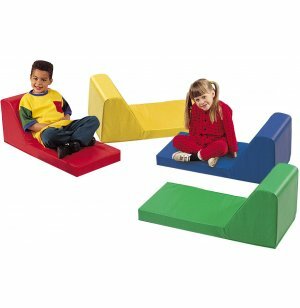 Encourage cooperative floor-play when you purchase this set of four Soft Loungers. 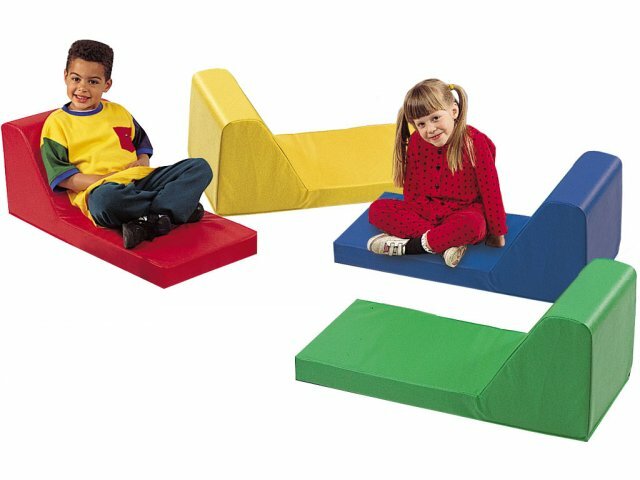 These vibrant floor cushions offer soft back support, so children can play together comfortably. Comfortable: Cushions are 3" thick. Supportive: Loungers provide cushioned back support. Cost-Effective: Set of four saves money.